According to the Jewish tradition the wedding represents a new beginning for a man and a woman who are ready to share their lives and their futures making it one. Exclusive Italy Wedding planners, thanks to their long experience with Jewish weddings and traditions, will be help you begin a new life together. The Jewish wedding may take place at any time, other than on the Sabbath, major festivals, or holidays. It may not take place during the forty-nine days between Passover and Shavuot except on the thirty-third day. 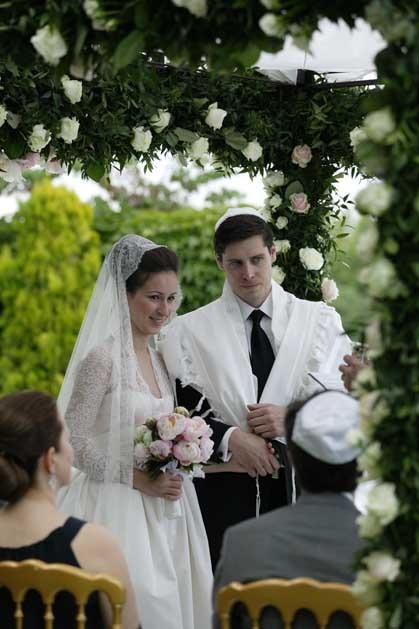 Jewish weddings in Italy can be Orthodox or Reform. 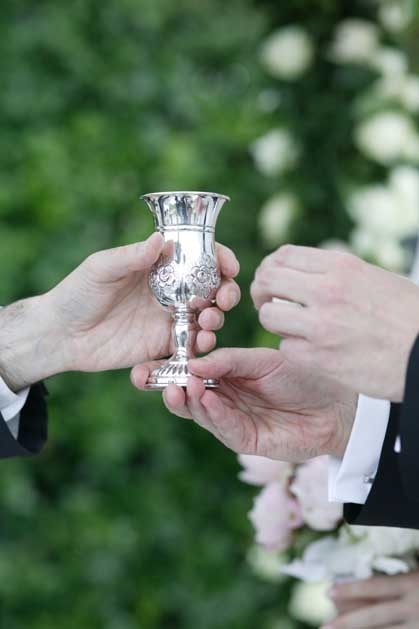 Orthodox wedding ceremonies in Italy take place in a Synagogue and they can have civil validity, in order to get married with an orthodox ceremony in Italy the couple must obtain a permission form their Rabbi and this must be presented to the Italian Rabbi who will perform the ceremony. Exclusive Italy Weddings' wedding planners will help you with the paperwork process. Today Venice has five synagogues (Schola Spagnola, Schola Levantina, Schola Italiana, Schola Tedesca, Schola Canton), a Jewish bookstore, a Jewish publishing house, a social centre, a museum, a yeshiva and a kosher restaurant. The Schola Spagnola synagogue was built around the end of 16th century and is the biggest and most impressive between all the Venetian Schole, with a big wooden main door on top on which there are big windows with colored glass plugs. The Community in Venice is Orthodox and follows the Sephardic minhag. 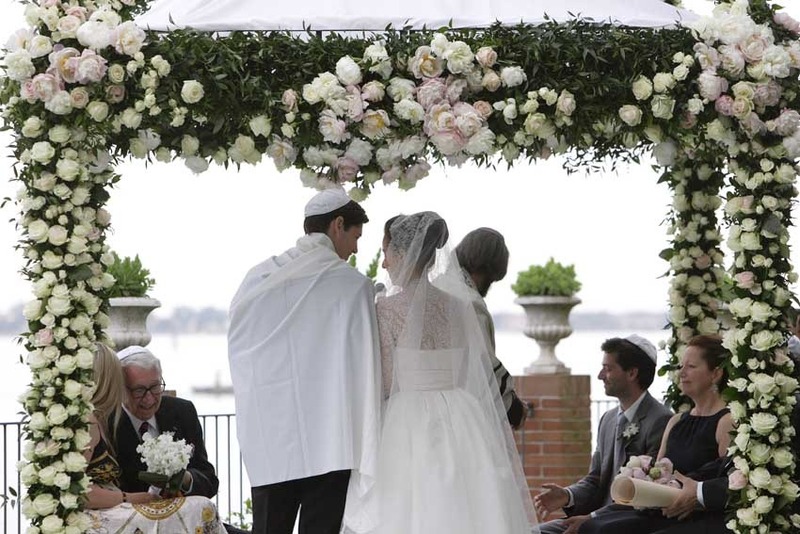 If you are planning a Reform Jewish wedding in Italy you have the wonderful opportunity to have an outdoor ceremony in a charming garden or a beautiful Palazzo. Venice sure offers several options for ceremonies and receptions that are known for being jubilant celebrations where dancing is a really important part. 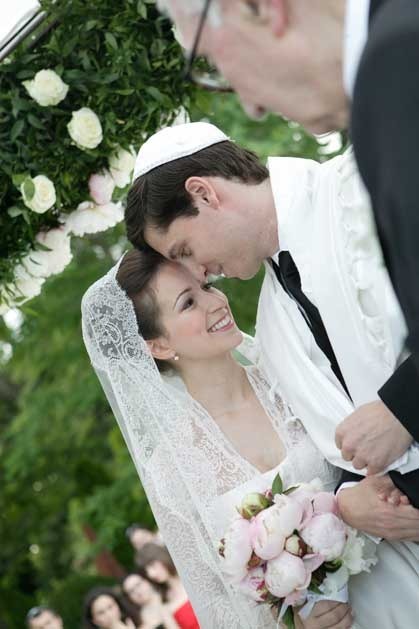 The ceremony is conducted by a Reform Rabbi or by the Rabbi of the couple.